Bob Howe’s snowshoes are worn by game wardens, hunters, foresters, maple syrup producers, trappers and other people who make their living in the woods in winter. Howe says his snowshoes are stronger than modern aluminum ones. His design shifts the wearer’s weight to the shoe’s center, making the shoe stronger and giving it “more flotation.” Howe added that he was the first to make a wooden snowshoe that allows the wearer to walk easily in reverse, instead of having to go around in a circle to back up. Most recently, he developed a snowshoe for people who weigh 300 to 400 pounds. Howe’s business helps support a nonprofit organization he and his wife started called Pine Grove Programs, which brings veterans to the lodge for a free week of hunting and fishing. (After 9/11, the Howes brought New York City firefighters to the lodge for a week of free fly fishing.) 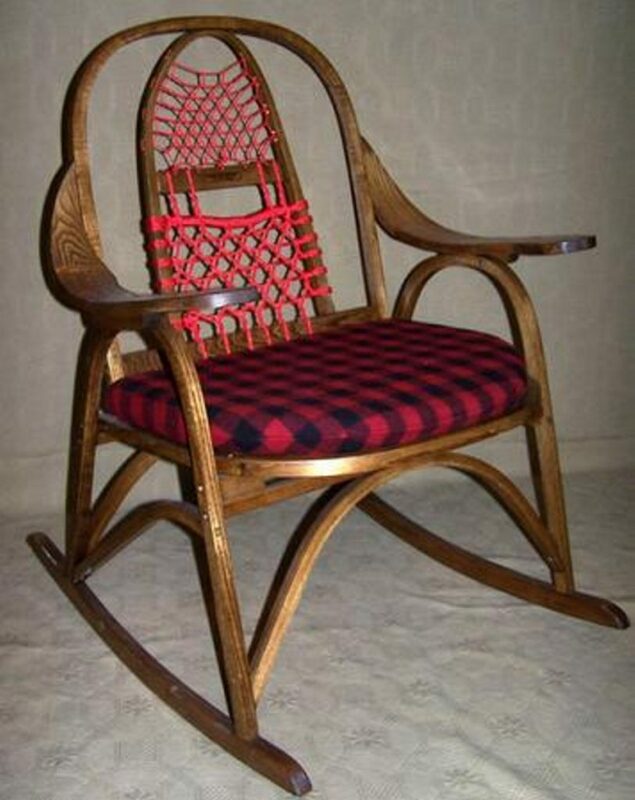 That program became so popular that Howe branched out into making furniture, including chairs and rocking chairs that incorporate snowshoes into their design, to help fund it. He says customers have included Sen. Angus King and talk show host Jimmy Fallon. 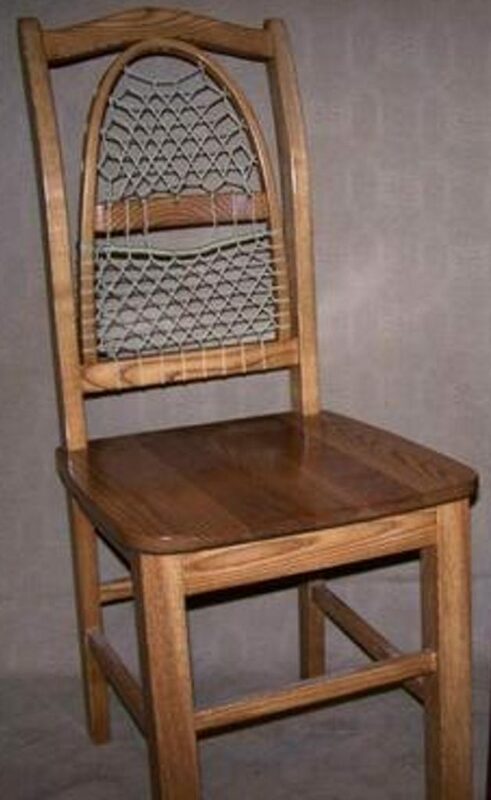 The snowshoe furniture is made with the help of inmates at the Charleston Correctional Institute. A percentage of sales goes to the inmate, to a restitution fund to compensate victims, and to the state. Howe’s snowshoes and his snowshoe furniture can be ordered through his website, mgsnowshoes.com.